Bring in the New Year in style at the most delightful luxury hotel in Falmouth. 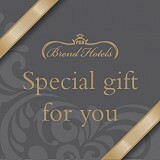 Enjoy a sensational break with outstanding cuisine and marvellous entertainment. 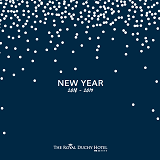 A spectacular New Year's Eve Dinner will be the highlight of your New Year Break, all in the luxury surroundings of the Royal Duchy Hotel, with award winning fireworks at Midnight! The above rates (£) are per person per night based on two persons sharing a double room, except single rooms. The rates include dinner, room and breakfast, full entertainment programme and New Year's Eve Dinner with fireworks at Midnight! For more information about our New Year entertaiment & packages please view here.